The Bolivian Altiplano is the second largest mountain plateau in the world. 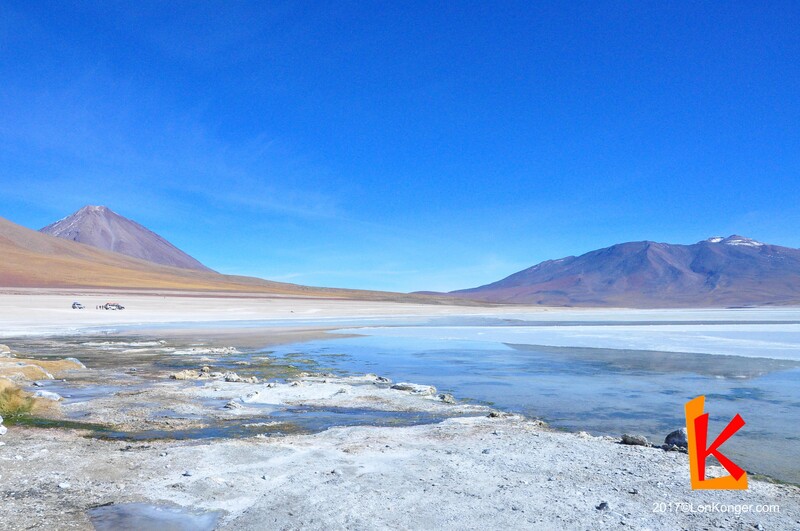 Higher than many peaks around the world, the Altiplano is home to lifeless and surreal sceneries. Near the Chilean border, the backdrop is dominated by jagged volcanoes; moving further into Bolivia, the rocky landscape transforms into a pristine salt flat – the famous Salar de Uyuni. The otherworldly attractions are very difficult to visit unless you follow a guided tour. Most itineraries through the region stop at various lagoons and remarkable rock formations, culminating in watching a fantastic sunrise over the vast salt flats. 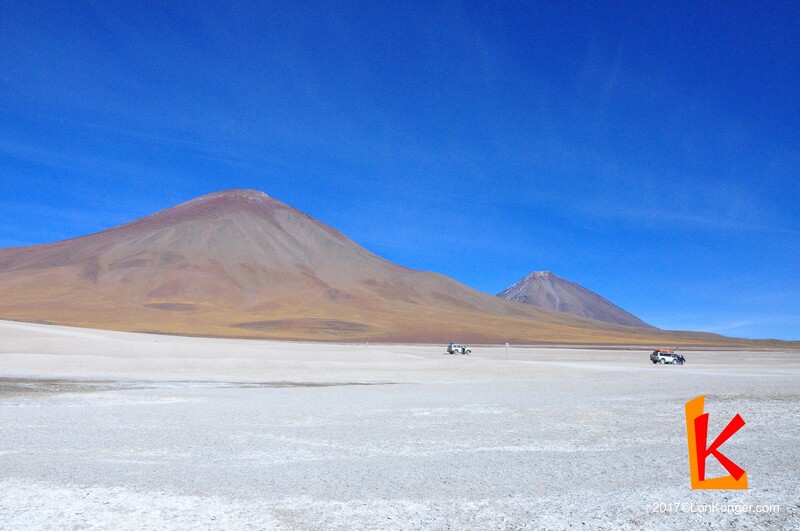 The terrain is sometimes so hostile that it is scarcely believable the Bolivian Altiplano is, in fact, from the same planet. 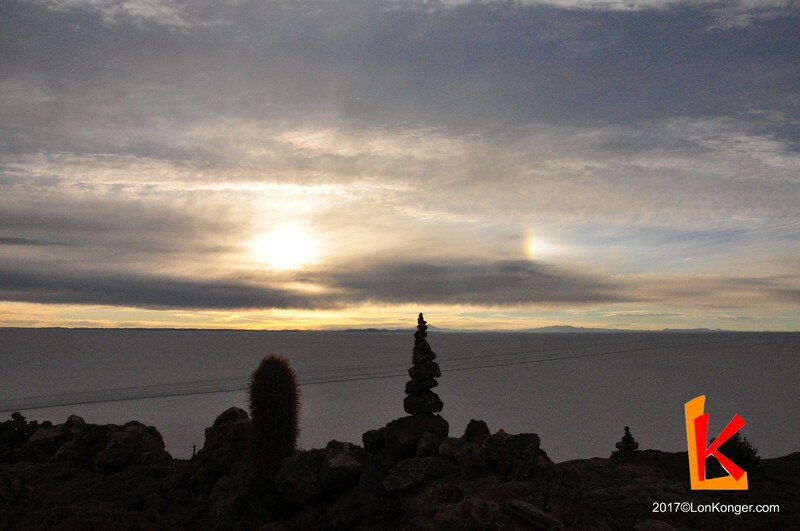 Incahuasi Island is one of the most popular sites for watching the sunrise over the boundless Salar de Uyuni. The culpeo, or Andean fox, lives in a wide variety of habitats throughout western South America. Their diet mainly consists of rodents, rabbits, and birds found in the region. We chose Tupiza Tours based on positive reviews and their reputation for safety. Our drivers drove safely, and our guide Gladys was helpful and sociable. While more expensive than other tour options, Tupiza Tours were professional and accommodating of our needs throughout. 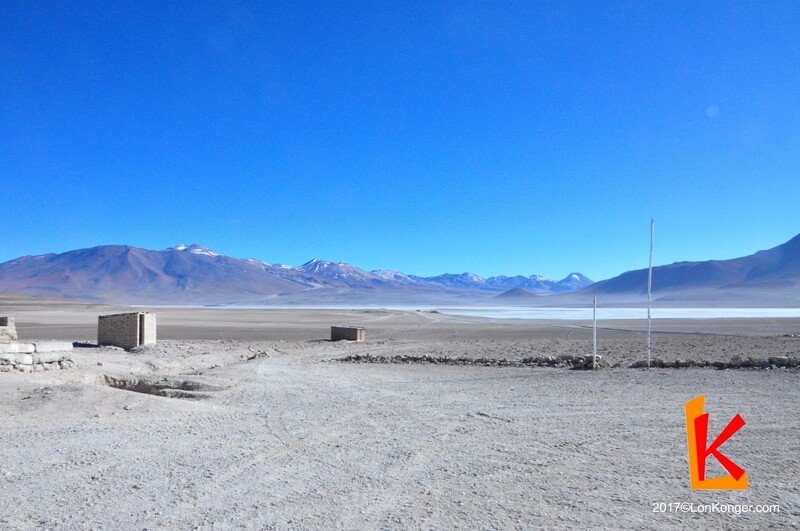 Our tour through the Altiplano begins in Hito Cajon, the Bolivian border post high in the Andes. For political reasons, Bolivian tour providers are unable to cross into Chile and vice versa, so we had to find a way to Hito Cajon from San Pedro. 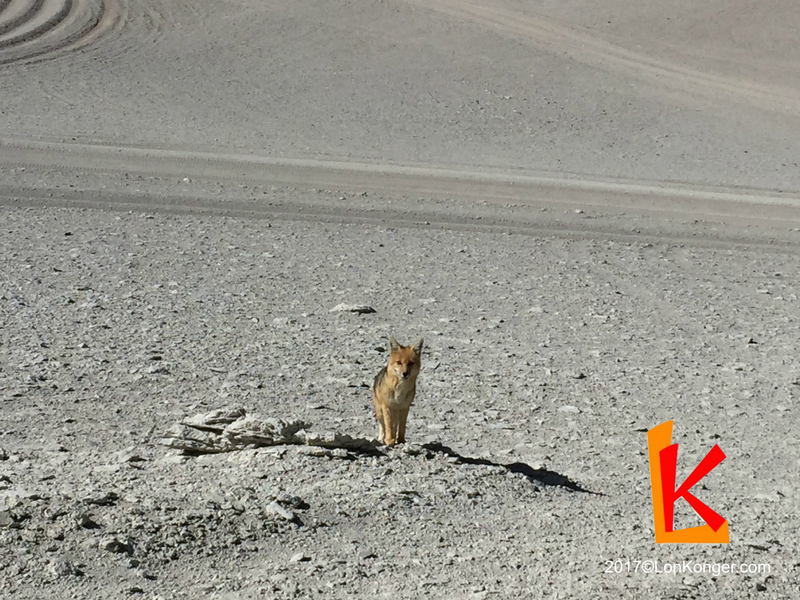 Thankfully, we found a tour agency in San Pedro de Atacama which agreed to take us from our hotel to Hito Cajon via the Chilean border. The Chilean border is a mere ten minutes from San Pedro. 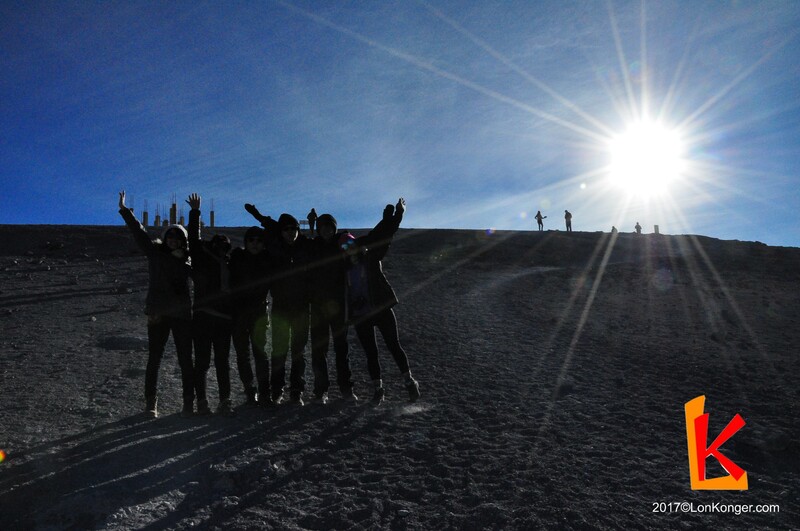 After getting our passports stamped, we ventured into the barren wilderness, ascending along a mountainous road. Forty minutes of continuous ascent brought us to the border post, where 4×4s from different tours had already congregated. The “border” at Hito Cajon is really no more than a tiny shack occupied by two immigration officers. 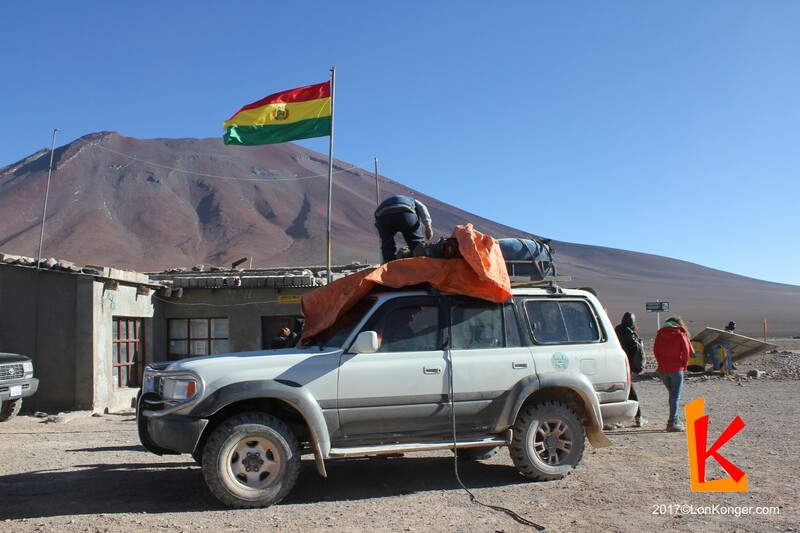 After a smooth border crossing and with tourist visas in hand, we boarded the 4x4s which would be our mode of transport across the Bolivian Altiplano for the next three days. With our luggage (along with sleeping bags, extra water, and even food) strapped precariously to the top of our jeeps, we entered the Eduardo Avaroa Andean Fauna National Reserve against a backdrop of the mesmerizingly blue skies. The incredibly clear skies were no surprise – the Andean Altiplano is one of the driest regions in the world. The Atacama Desert and Altiplano are situated between two mountain ranges, preventing moist air from the Pacific Ocean or the tropical rainforest from reaching this isolated region. Some areas only receive a few millimetres of precipitation each year. Thus, water resources in the region are limited to the salty and highly mineralised lakes, making the Desert one of the most inhospitable climates found on Earth. We meandered around various lifeless lagoons at the foot of the towering Licancabur Volcano, including Laguna Blanca and Laguna Verde. These are salt lakes which are characteristically coloured due to their different mineral compositions. For instance, Laguna Verde is green because of lead, sulphur, and arsenic deposits. Depending on the wind speed and direction, the lake’s sediments can be agitated and whipped up from the lake bed, leading to mesmerizing colour transformations throughout the day. Just by looking at the lakes, it is not difficult to imagine why NASA has planned expeditions to these lagoons. These harsh environments harbour unique extremophiles, organisms which can thrive under even the most unforgiving conditions. Fascinatingly, the lakes surrounding the Licancabur Volcano are thought to be analogous to the ancient lakes found on Mars. The arid, cold, and wind-swept landscape was the training ground of choice for NASA, and was where they developed engineering strategies for planetary exploration and scientific sample collection. Indeed, the out-of-this-world landscapes look as though they were lifted straight from the surface of exoplanets. We then visited the Salvador Dalí Desert, a muted and desolate valley so named because of scenes resembling Dalí’s surrealist paintings, only without the melting clocks. Oddly-shaped rock protrusions dot the landscape amid maroon mountain ranges. Many of these isolated rock formations are the result of thousands of years of wind erosion, as wind is funnelled from surrounding regions into the valley. Our jeeps then brought us to Termas de Polques hot springs, a small bathing area overlooking yet another salt lagoon. Upon being informed that this would be our last realistic chance to shower in the next two days, we all changed into swimwear and hopped in. The lukewarm springs were certainly a welcome change to the harsh Andean winds. After a brief soak and a quick lunch, our tour continued on to Sol de Mañana, the highest geyser fields in the world. While somewhat less spectacular and less expansive than the El Tatio geysers, Sol de Mañana is made up of bubbling mud lakes and simmering steam pools. Filling the air with a thick sulphurous odour, the geyser field offers an up-close and personal view of the effervescing mud pools, as no barriers separate tourists from the pools. The downside of this is that extreme care must be taken while walking around in the geyser fields, as any damped and cracked earth is potentially dangerous. Unsuspecting tourists have been known to fall into boiling mud pools. After briefly reaching 5000m above sea level (where we breathlessly took a customary group photo), we descended to Laguna Colorada, which derives its name from the crimson sediments and algae populating the lake. Laguna Colorada is incredibly shallow, and is dotted with white islands of borax deposits, left behind as the water evaporates. Endangered James’s flamingos, endemic to the Andean Altiplano, feed on the red algae, giving rise to the characteristic pink feathers. We strolled along the shores of the lagoon, hoping to catch a closer glimpse of the flamingos, but the rapidly cooling air and the effects of altitude sickness soon caught up to us. As the sun descended beneath the nearby mountains, we retreated to a nearby village, where we spent the night under the starry Andean sky, the frigid cold unable to deter us from briefly heading outside for another spectacular view of the Milky Way.